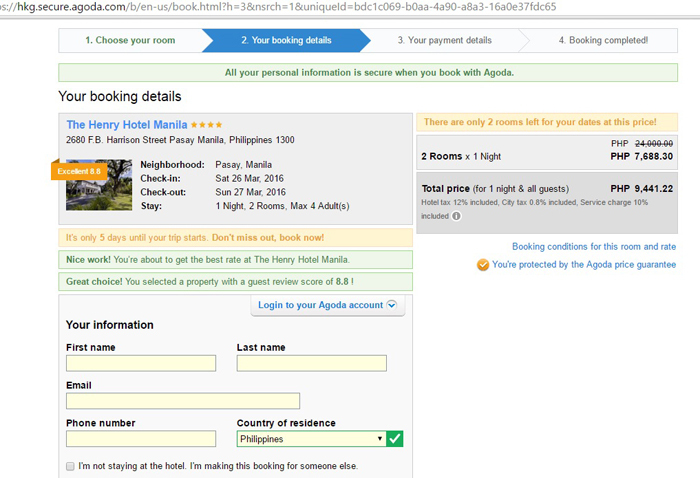 I might just have discovered the best thing EVER for online shopping & online booking enthusiasts like me. And I’m so excited to let you in on my not so little secret. Do you know that you could earn cash (plus get additional savings & discounts) when you shop? And if you love traveling like me, you could earn cash or cash out your savings after booking your accommodations or flights! Deals galore + extra savings! You might ask (I did! ), how’s that even possible??? Well, here’s how! 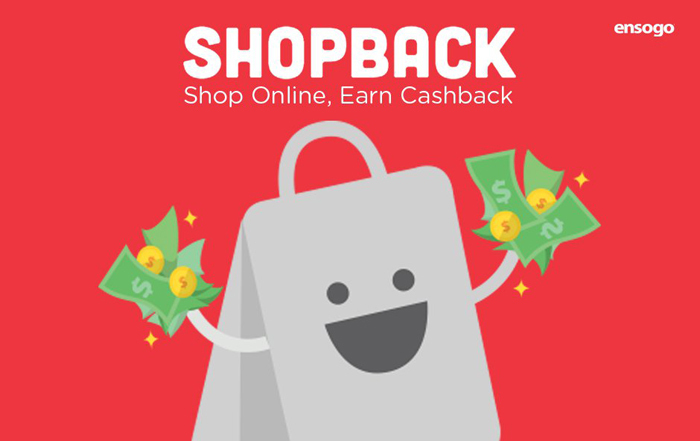 Shopback is a Singapore based company which also launched here in the Philippines after experiencing success in Singapore and Malaysia. It’s a website that offers amazing discounts and the best deals on over hundreds of online stores, and then gives you a portion of the amount you shopped just by using their website! Plus, this is the best way to get extra discounts and huge savings when shopping because they offer deals on top of what the online store currently offers. Which websites could I shop from? There are a lot, but let me share with you a few of my favorites! 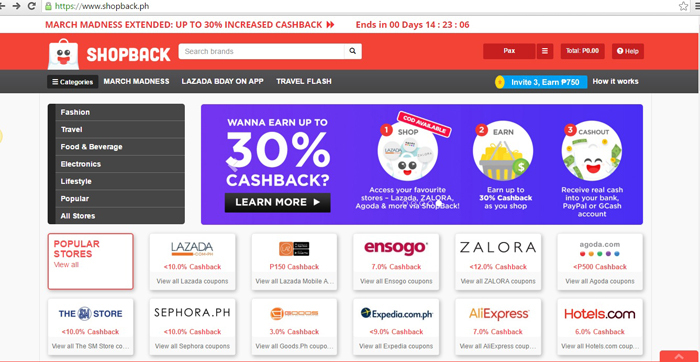 Under FASHION, there’s Lazada (who offer P150 to 10% cashback), Sephora (offering up to 10% cashback), and Asos (with 5% cashback). There are a lot of international sites, too! 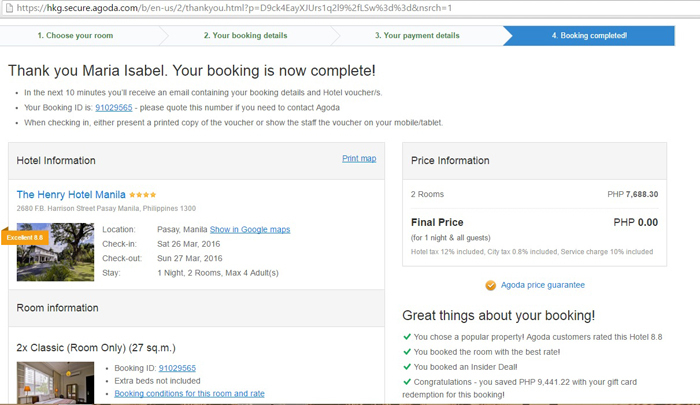 For TRAVEL, there’s my forever favourite AGODA (Get P500 back per transaction!) 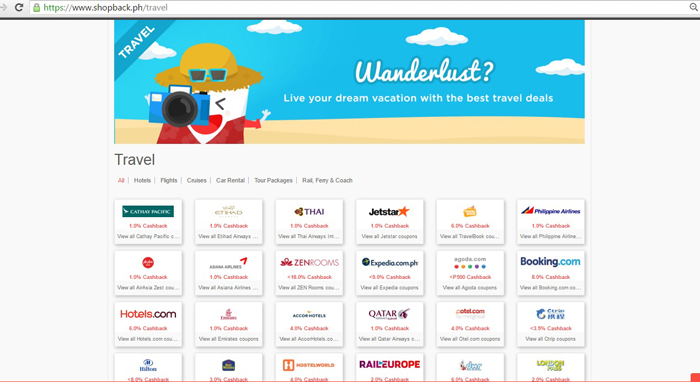 and Expedia (which offers up to 9% cashback). 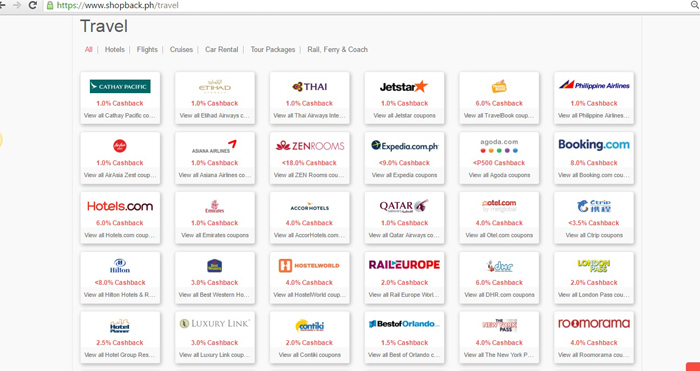 Some airlines also offer 1% cashback like Etihad, Emirates, Jetstar, AirAsia, PAL, Cathay etc. 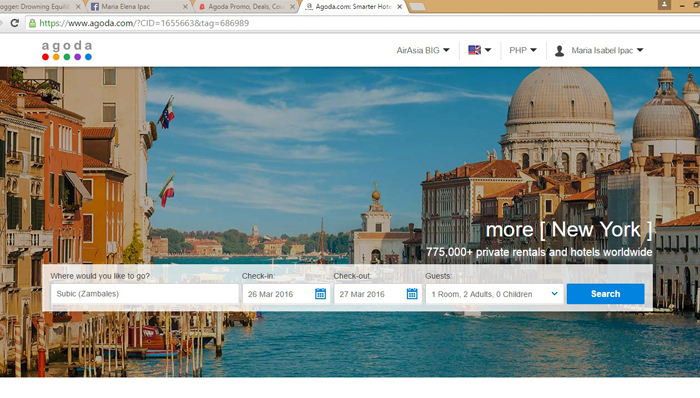 They have a lot more so check out all the travel online stores here. Aside from Fashion & Travel, they also have Electronics, Groceries, Home (IKEA!!!) and many more. 1. Sign up and register first. 2. 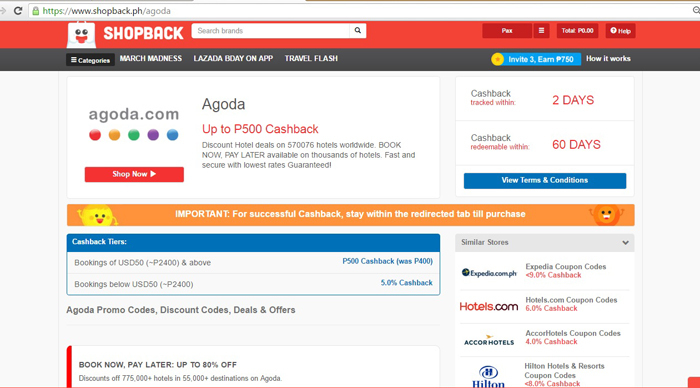 Click Agoda on the Shopback page. 3. Click on SHOP NOW. A new AGODA tab will open. 4. Choose your destination and your preferred hotel. 5. 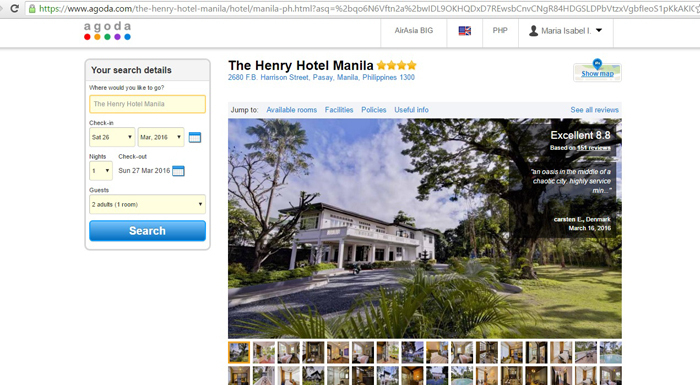 I booked 2 Classic Rooms at the The Henry Hotel Manila for 1 night. 6. Total including fees & taxes is P9,441. Pay as usual. 7. 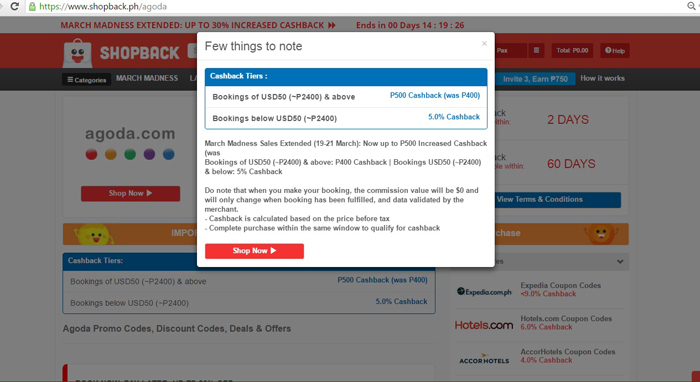 The P500 cashback will be automatically added to your ShopBack account but it might take up to 60 days after travel has been completed. For other merchants, it could take 2-14 days only! 1. 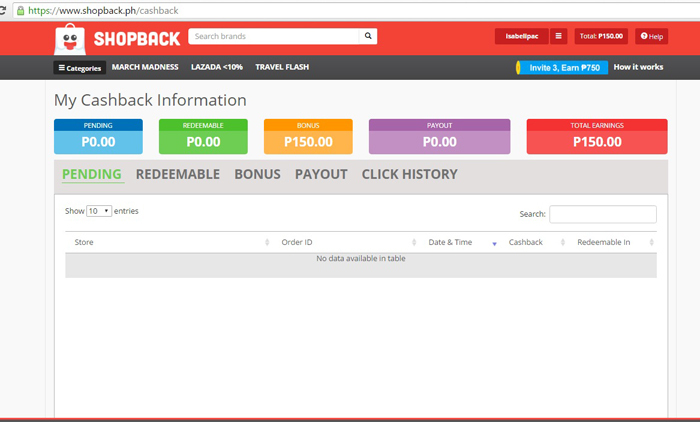 On your Shopback account, indicate your preferred payment method. There’s bank account, Paypal or Gcash. 3. Click on “Redeemable” tab. Minimum should be P300. 4. Click on “Request Payout”. 5. 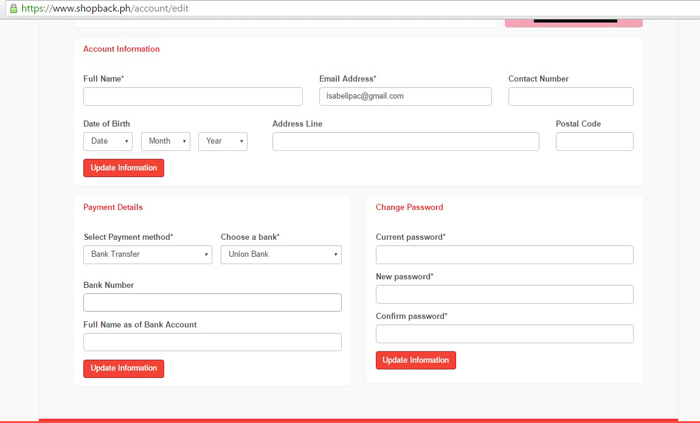 Your cashback will be deposited to your account within 7-14 working days.